Frances Brandon-Pickett Elementary (FBPE) opened in 2005. Our school is the namesake of the teacher/artist, Frances Brandon Pickett. Looking to the left, when visitors enter our building, they will see the display case filled with artifacts and photos donated by Mrs. Pickett. Straight ahead they immediately gaze on the beautiful oil painting of mustangs which she painted especially for our school! We are honored to be a part of the heritage of Queen Creek. We currently educate over 600 students in kindergarten through fifth grade. We offer our community open enrollment, and we’d love to have you join our Mustang family here at Pickett Elementary. If you are interested in touring our campus or would like more information about our school, give us a call or stop by our office. We are proud of the many programs we offer our students. We believe education should be challenging and fun, and we work hard to provide that delicate balance. While many schools have to cut programs due to budget restraints, we have held strong and still offer our students essentials such as library, music, P.E., and computers. We also offer free all-day kindergarten, a gifted program, ELL, and after school clubs. Every individual is unique and deserves respect. All children deserve the opportunity to think, dream, believe, and achieve. Students learn best when they are actively engaged in the learning process in a safe and supportive environment. Students will be provided with opportunities to succeed daily. Education is a shared responsibility; it is a partnership of home, school, and community. Frances Brandon-Pickett Elementary School will provide all students with an exemplary education which will meet the individual needs of students in a positive and safe environment. Our goal is to prepare them for academic success, technological proficiency, productive citizenship, and life long learning. The vision of Frances Brandon-Pickett Elementary School is to grow a community of learners in which all students will be successful, contributing members in a global society. Queen Creek USD was named an "A" school district three years in a row. Our district score places us at #1 in Maricopa County and in the top four scores in Arizona of all K-12 Unified Public School Districts. FBPE is one of the top schools in the state. We rank fourth out of all the public elementary schools in Arizona. Since opening our doors in 2005, FBPE has earned an Excelling and/or grade "A" distinction. We're on social media. Please check us out on Facebook, Twitter, and Instagram. Pickett Elementary is proud to offer cutting-edge technology. All of our classrooms, including the computer lab, are equipped with interactive SMART Board™ technology. 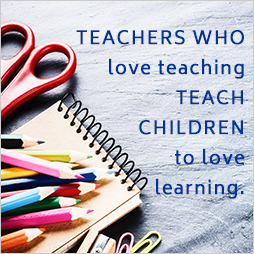 This allows our teachers to use innovative ways to teach our students—and the students absolutely love it! Physical education plays an important role in the education of our students by teaching them how to maintain healthy lifestyles by engaging in physical activity. We focus on teamwork, respect for others, motor skills, decision making, and problem solving. Please make sure your child wears shoes with ties (not sandals or flip flops) on P.E. days. We want every child to safely participate in our fun activities. Music is fun and rewarding for all students no matter their ability. Here at Pickett, we focus on beat, rhythm, pitch, tempo, and dynamics. We use a variety of music education methods every day so students are always involved and having a great time. During the year, kindergarten, first, and second grades give a performance for other students and their families. Third, fourth, and fifth graders may participate in the after-school choir or a variety of instrument groups. Thank you for supporting the arts! Your kids love them! With the help of teachers, our librarian instructs students in library skills, which we integrate into all areas of the curriculum. We want to provide a warm, positive, exciting atmosphere within our center to help encourage students to become independent thinkers, problem solvers, and of course, to help instill a love of reading. 1st bell – 8:10 a.m.
Tardy bell – 8:15 a.m.
Arizona, along with 46 other states, worked to create standards in English language arts and math for the K–12 curriculum. These standards provide the framework to help prepare students for success in college and/or the workplace. Follow the link below for more information.